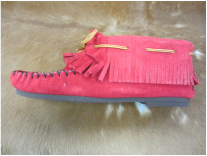 Hand cut fringed ankle high rich purple suede moccasins, Indian tanned purple suede leather, with comfortable black crepe rubber soles. 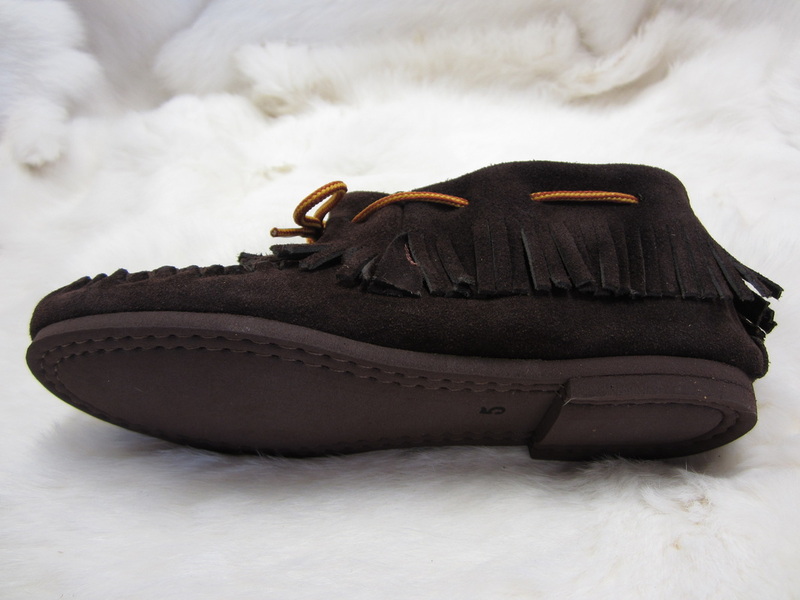 Hand cut fringed ankle high rich chocolate brown suede moccasins, Indian tanned chocolate brown suede leather, with comfortable black crepe rubber soles. 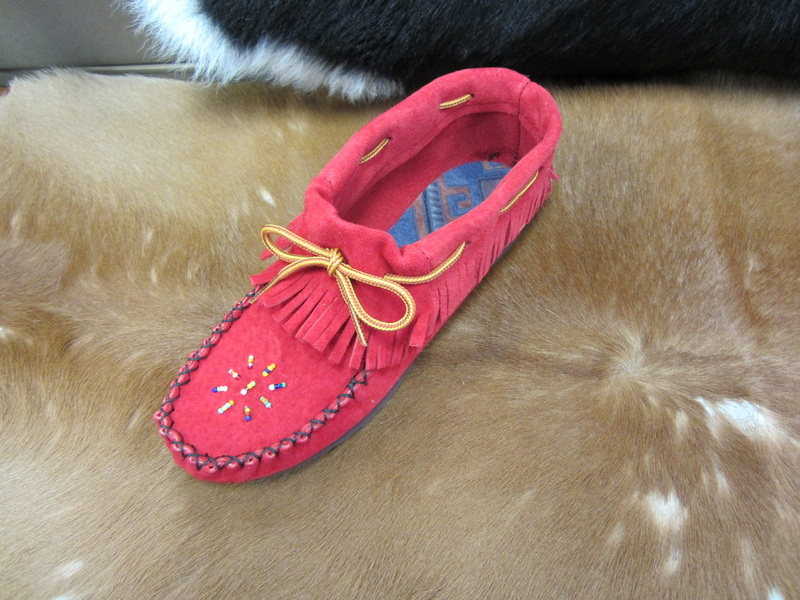 Hand cut fringed ankle high rose petal red suede moccasins, Indian red suede leather, hand beaded, with durable rubber soles. Women's sizes 5 to 10. 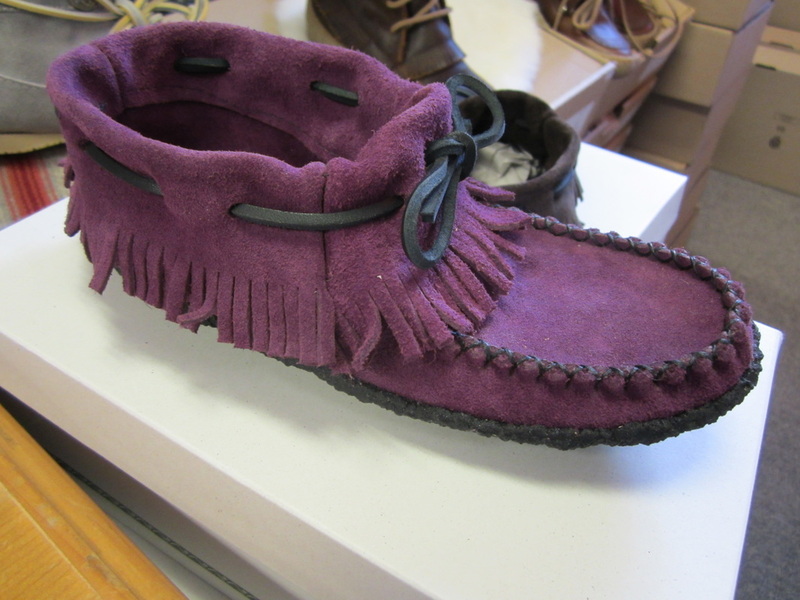 Hand cut fringed ankle high purple suede moccasins, Indian purple suede leather, hand beaded, with durable rubber soles. 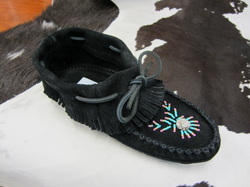 Available in Sizes 5 & 10. 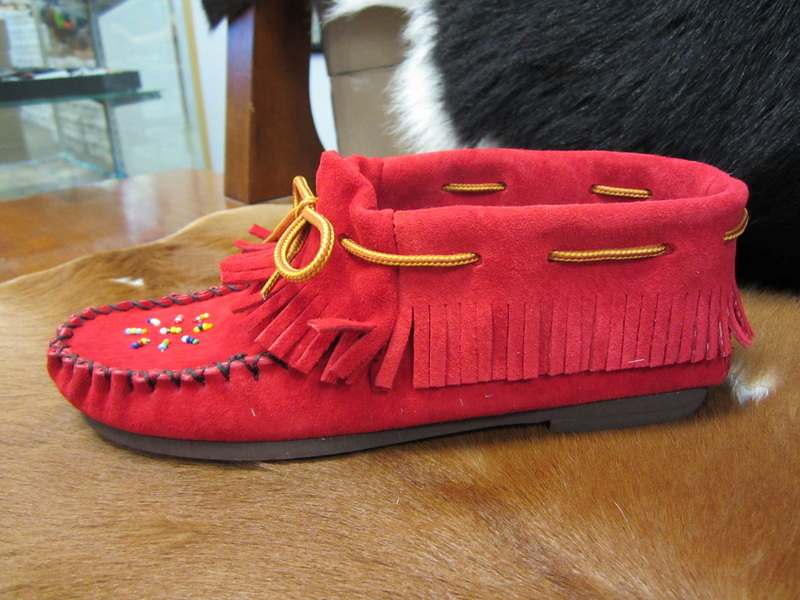 (Sorry, sold out Sizes 6, 7, 8 & 9). 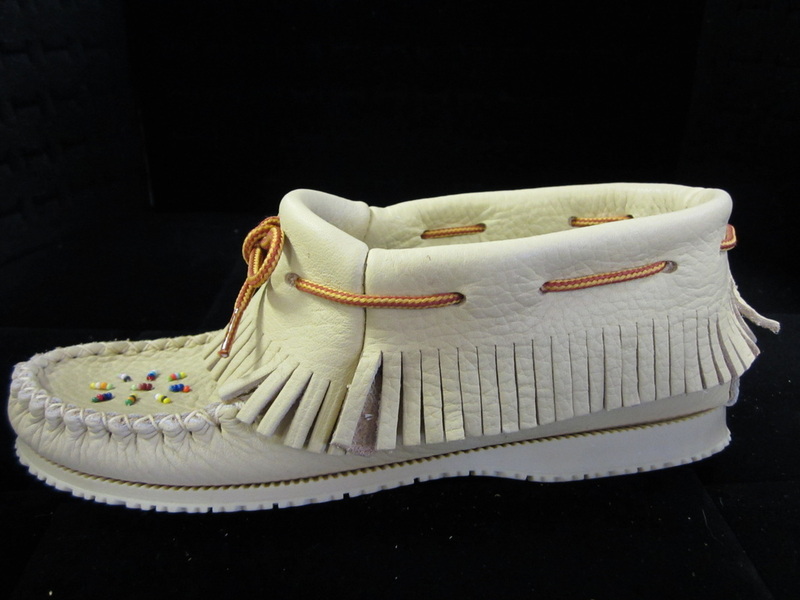 Hand cut fringed ankle high moccasins, Indian tan suede leather, hand beaded with Huron Wheel of Life pattern, durable rubber soles. 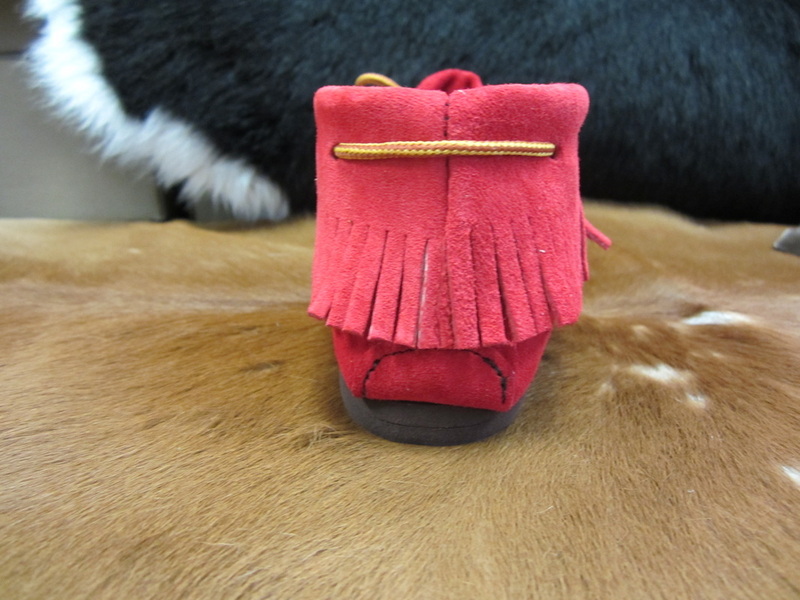 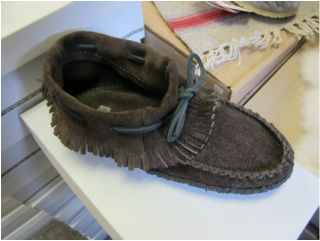 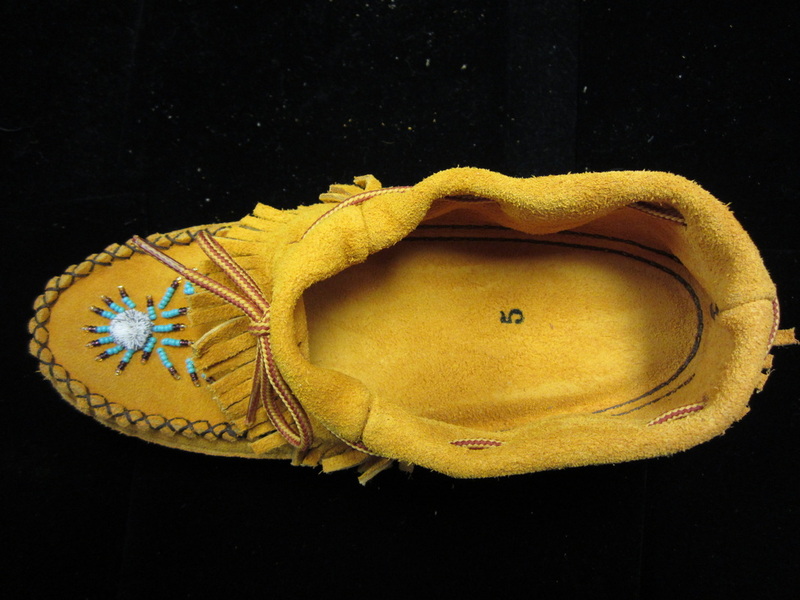 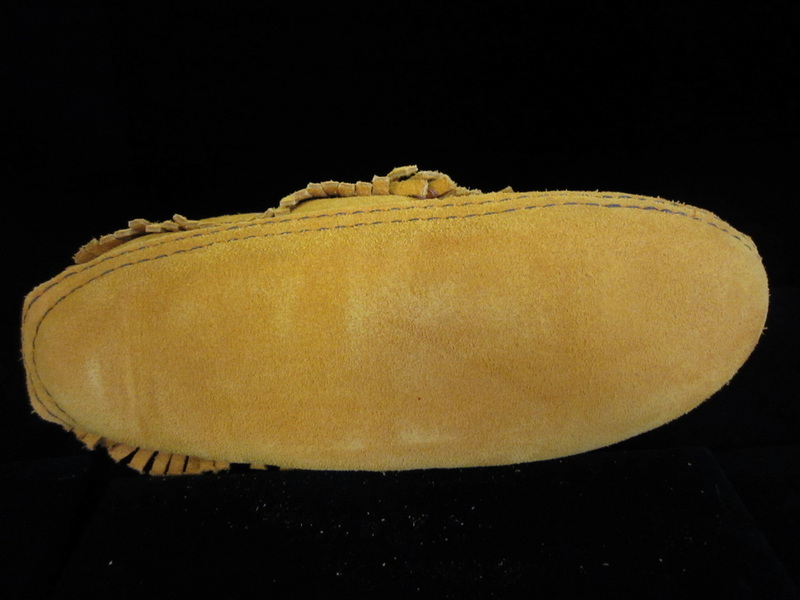 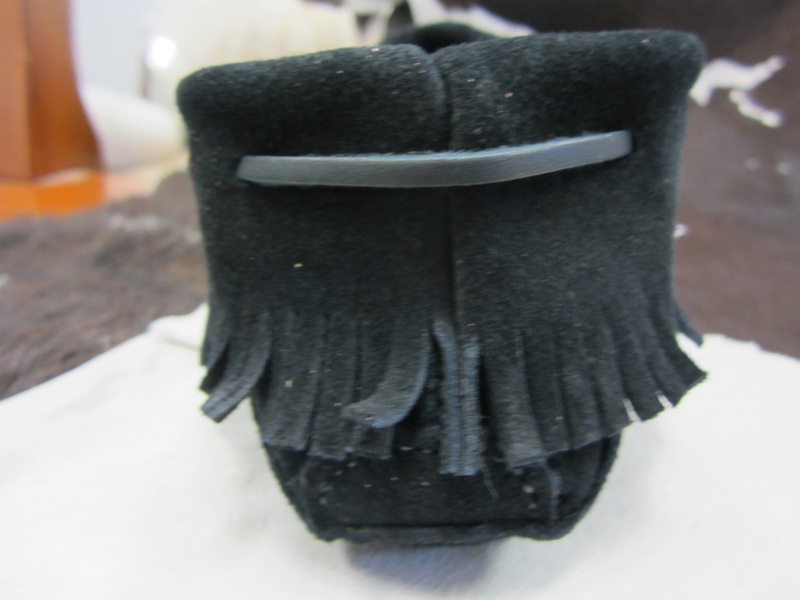 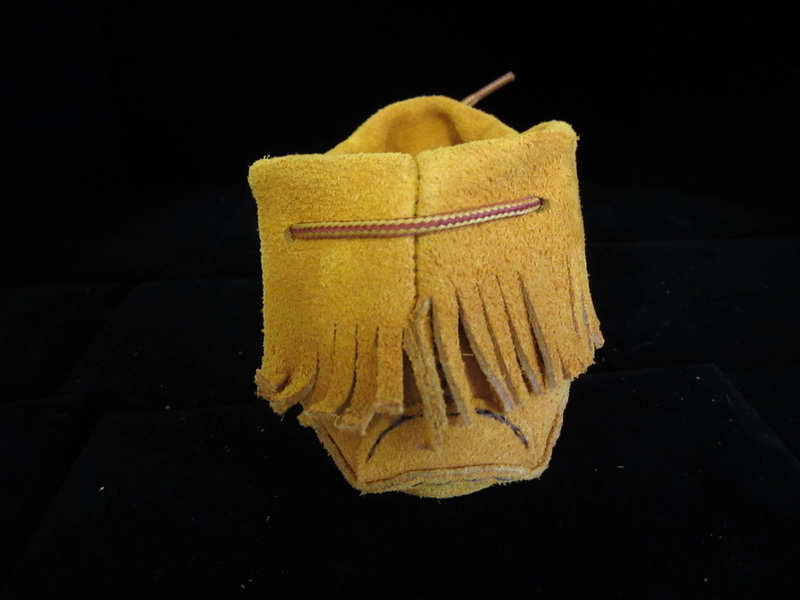 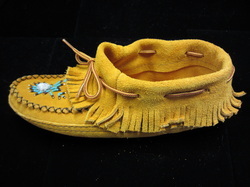 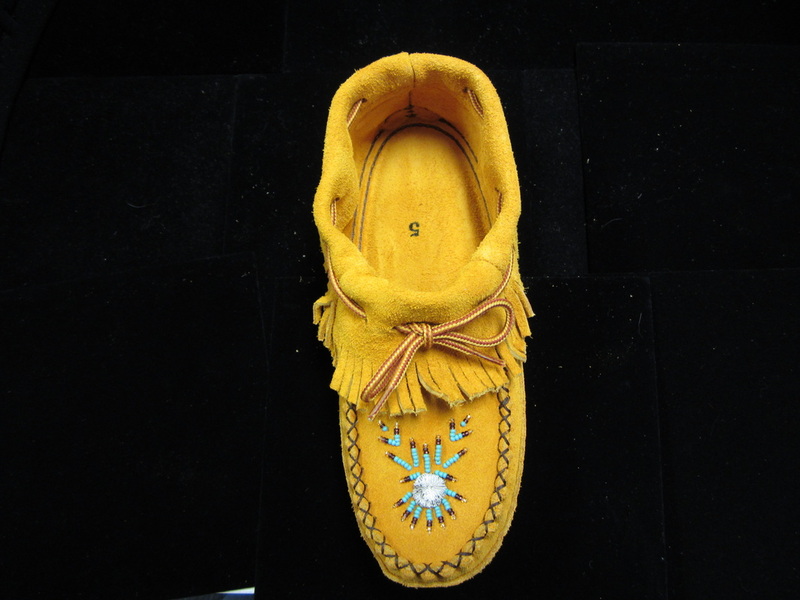 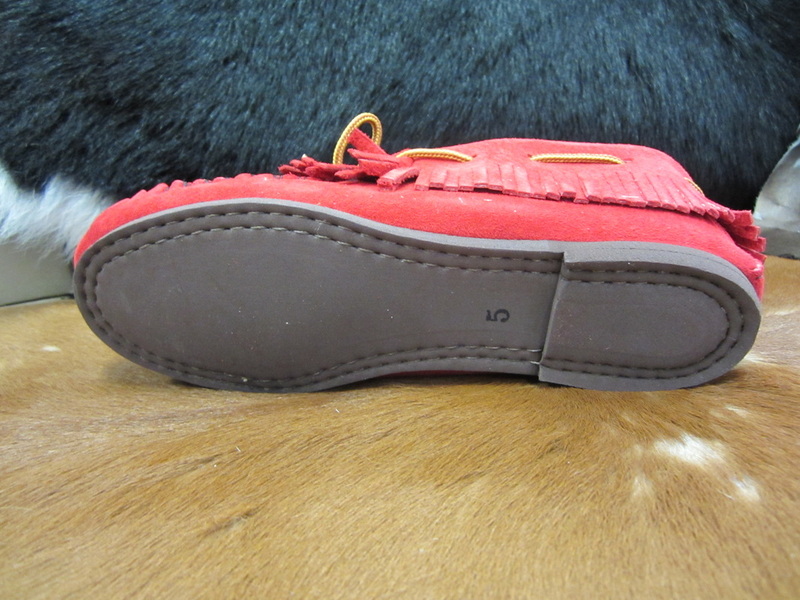 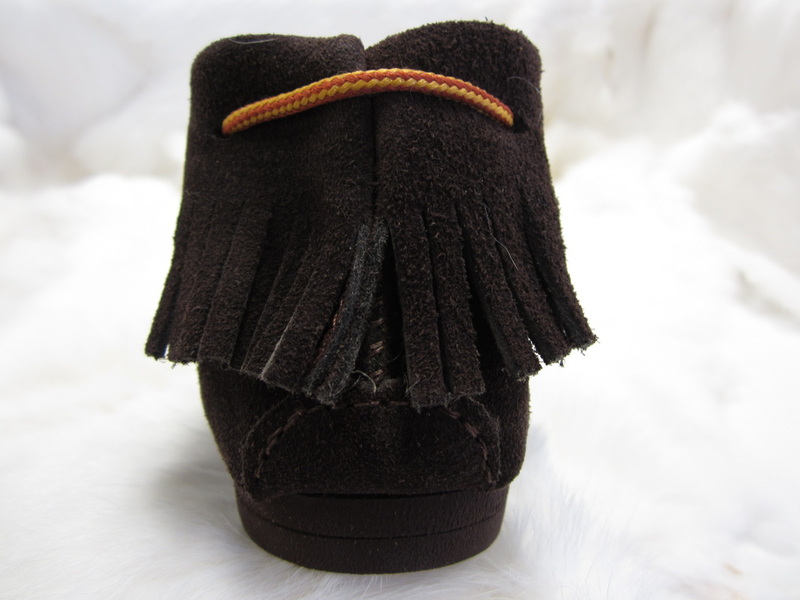 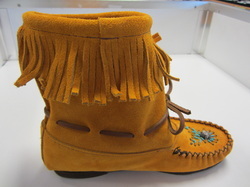 Hand cut fringed ankle moccasin made from Indian tan suede with cushioned double sole and Huron-Wendat traditional signature Moosehair Tufting or Embroidery. 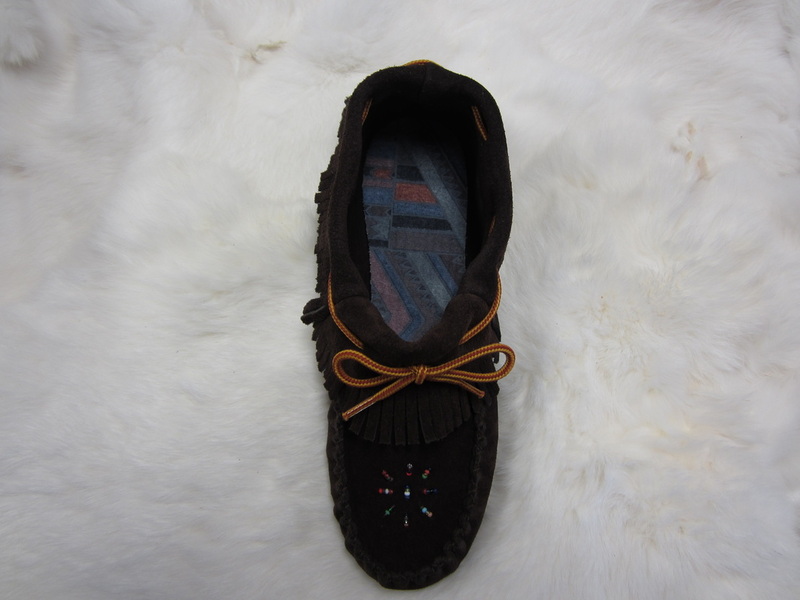 Available in Women's Sizes 5 to 10. 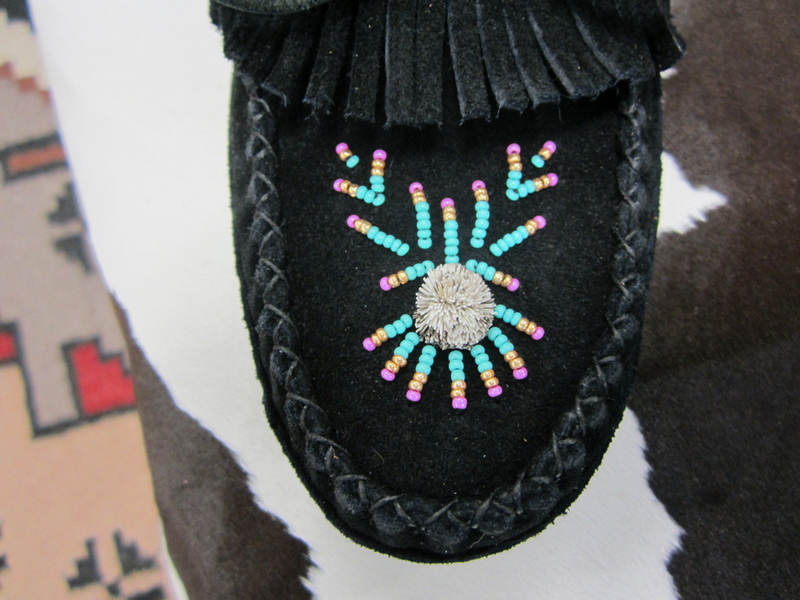 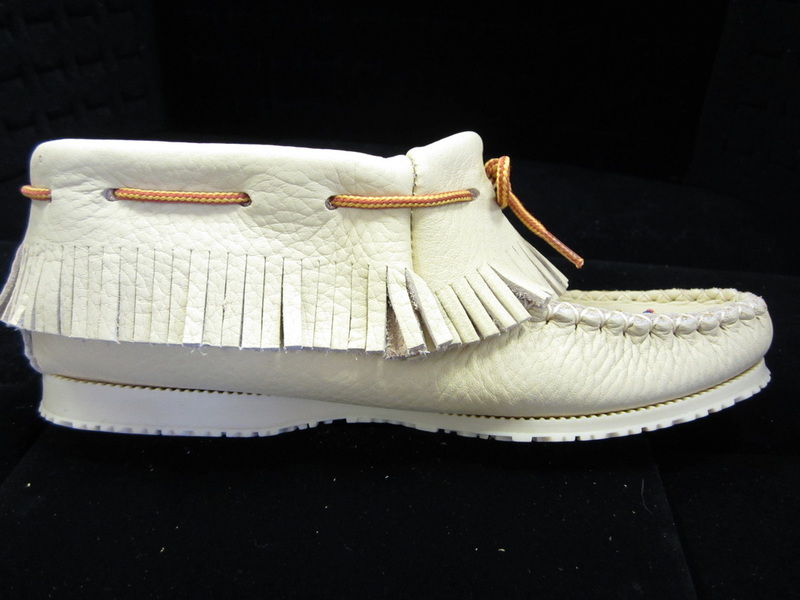 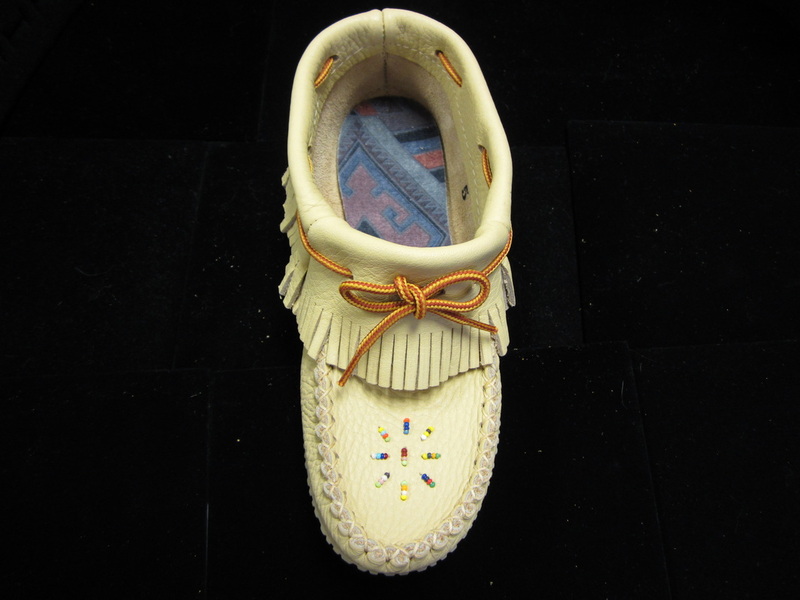 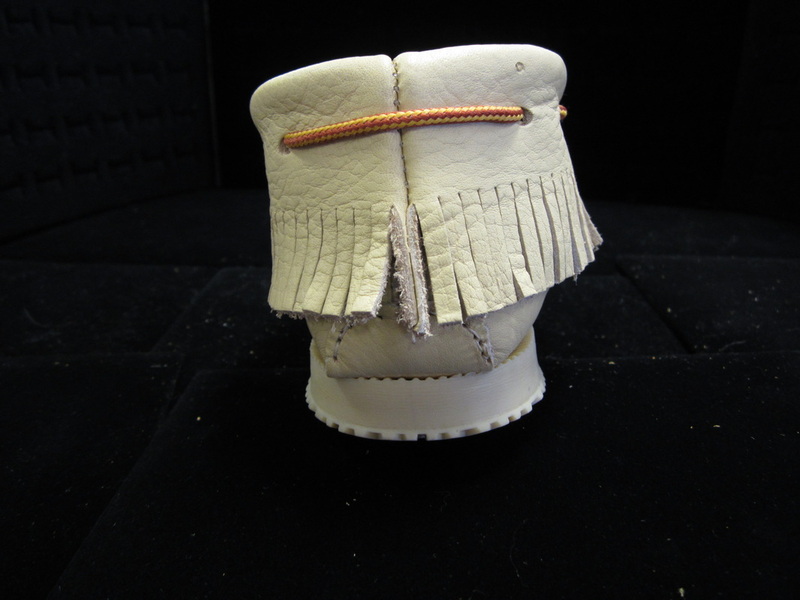 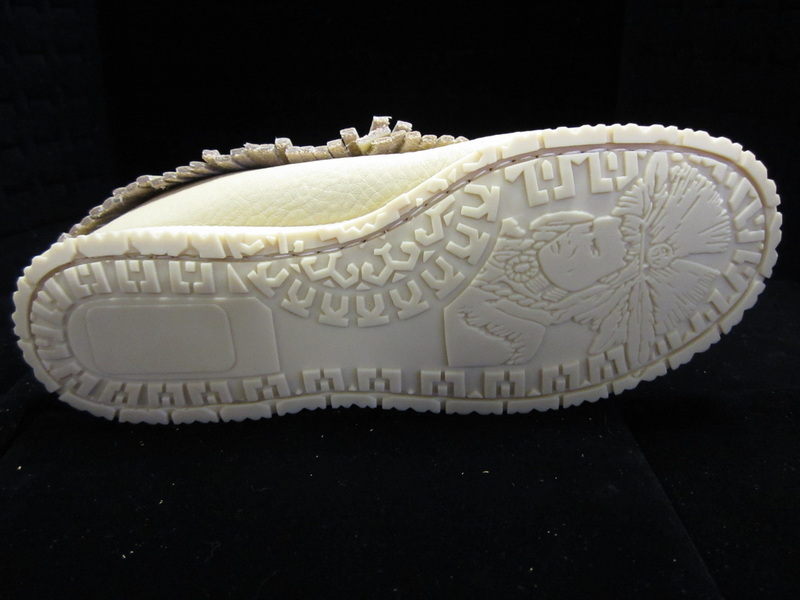 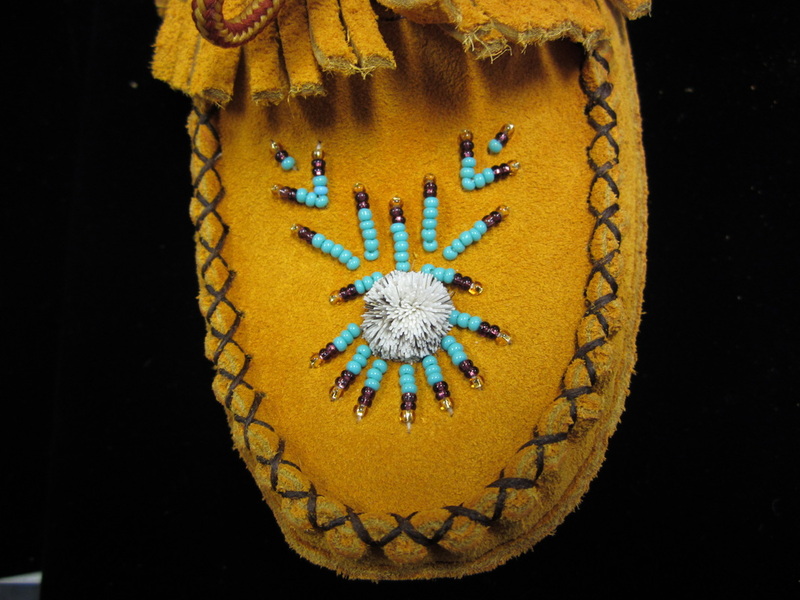 Hand Beaded and hand cut Fringed Ankle Moccasins made with Indian Deer Tan Cowhide Leather with Hiawatha camping sole. 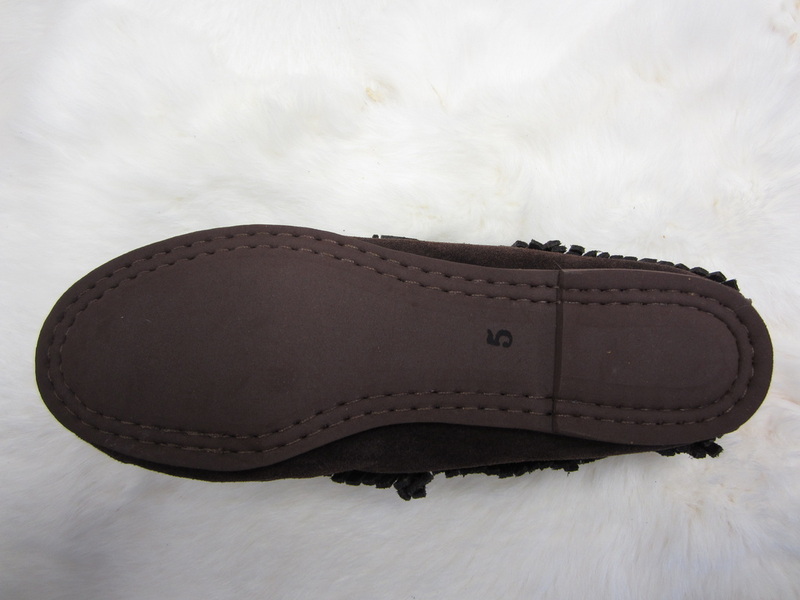 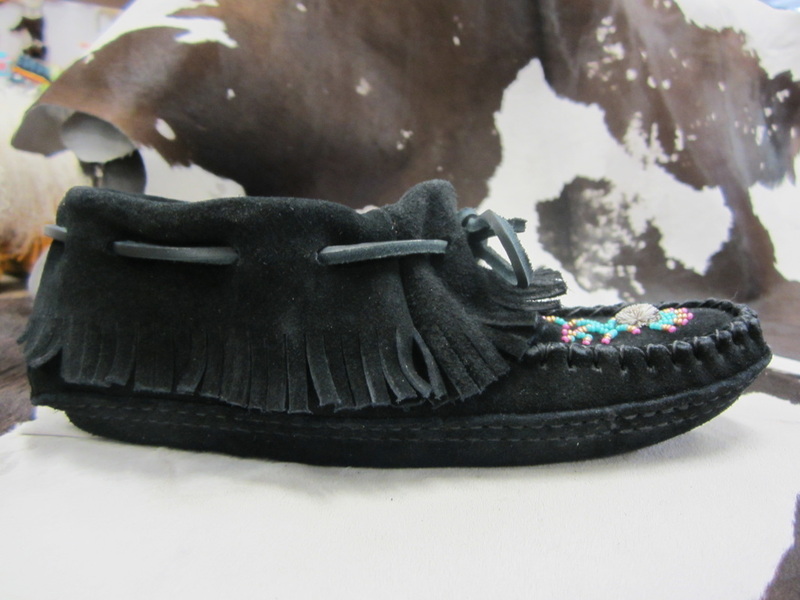 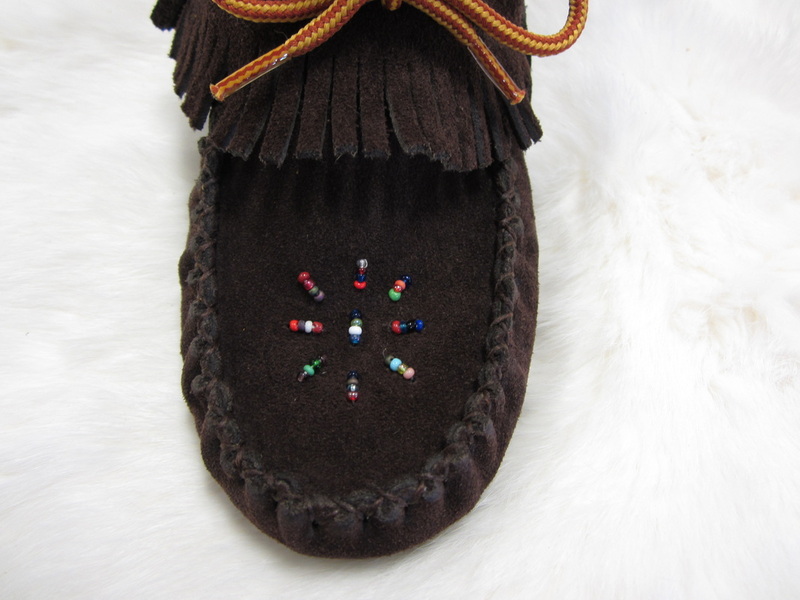 Hand cut fringed ankle moccasin made from Indian Chocolate Brown Suede Leather, hand beaded with a durable rubber sole. 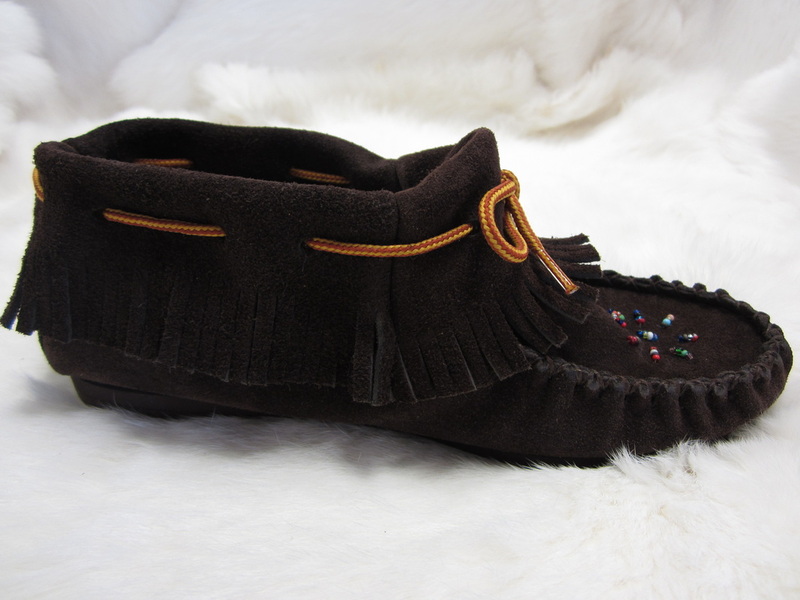 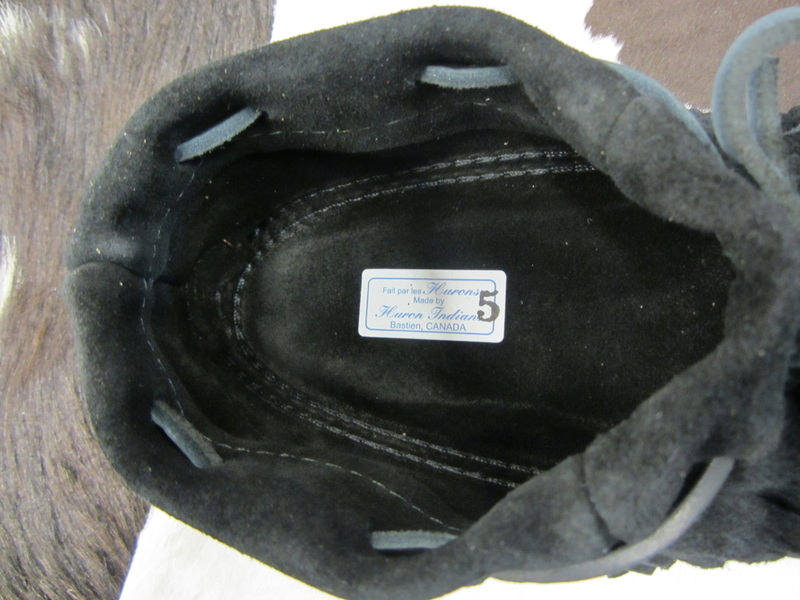 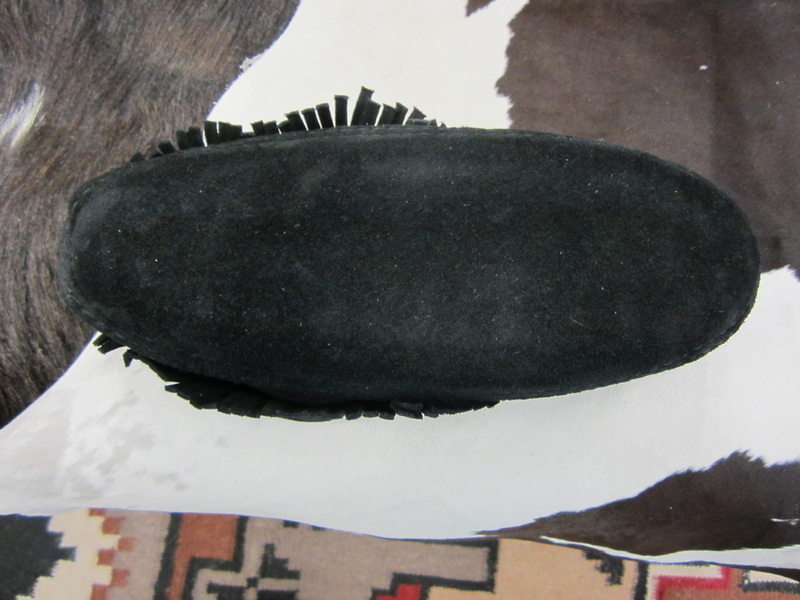 tanned Indian Black, with cushioned hand stitched double sole, and Traditional Signature Moosehair Tufting or Embroidery. 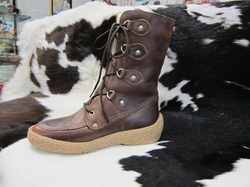 Women's Chuka Boots, or Short Boots. This is one style available. 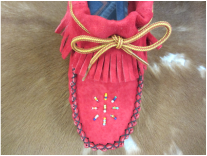 Click on the picture to see more styles and colors.